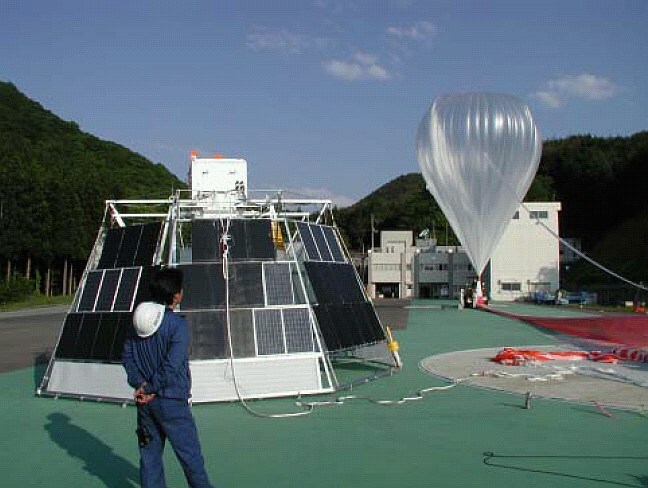 BESS (the Balloon-borne Experiment with a Superconducting Spectrometer) is a joint project of Japanese and US scientists to search for antimatter in the cosmic radiation, as well as measure energy and intensity of less exotic components of the cosmic radiation. 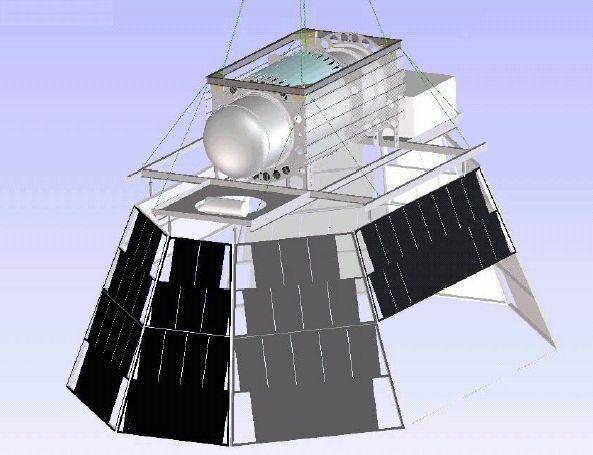 The current version of the BESS instrument, BESS-Polar, is similar in design to previous ones, but is completely new with an ultra-thin magnet configured to minimize the amount of material in the cosmic ray beam, so as to allow the lowest energy measurements of antiprotons. This particular flight was a technological one aimed to test a new power system using solar cells developed to supply near near 900W of energy to the electronics onboard the POLAR-BESS payload. 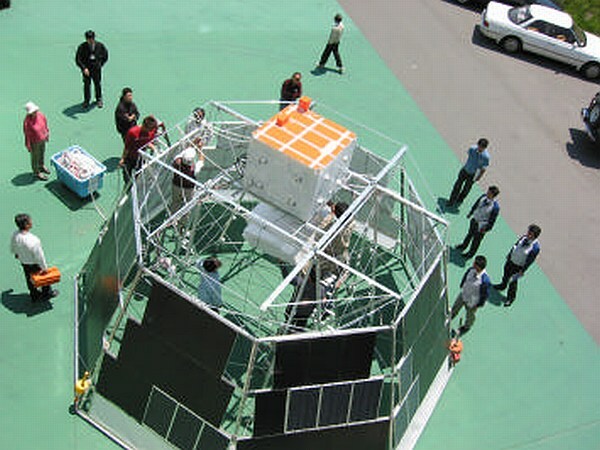 The system consists of an omni-directional solar-cell array-structure of 90 Sharp NT3436BD solar-cell modules mounted on an octagonal frame, (see picture at left) in wich each side is designed to have the same area so that no orientation control is required to achieve the high reliability of power production. 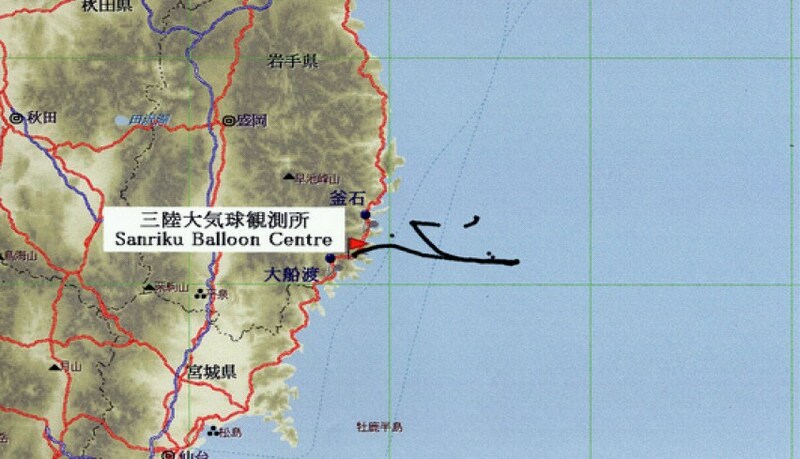 In order to test the artifact, it was flown on a technological flight from Sanriku. The total weight of the payload was about 380 kg including the house-keeping system, which monitored temperatures of the panels, output voltages and currents, and solar inputs. During the flight, the solar-cell array-structure was monitored by a video camera installed at the lower end of the parachute. Appropriate performance was found on launching and termination. House keeping data were transmitted to the ground by the Telemetry system and were analyzed to check consistency between data and simulation results. The system worked well in this technological flight.